On behalf of admin of JML Law, A Professional Law Corporation posted in Car Accident on Saturday, Jun 03 2017. Get the contact info of the uninsured driver. Write down car model and registration number. Get information regarding all the damages caused to the vehicles as well as property. Check road conditions or any signs/ markings. Gather witnesses and ask for their contact info. Photograph vehicles and the driver as well as passengers. Contact the police immediately to file a crash report and get the report number. Although California has serious penalties for many violations, it’s not quite so when it comes down to uninsured drivers. Uninsured drivers in the state can face up to $200 in fines for the first offense and up to $500 for the second offense. Some other additional penalties and fees may apply. The vehicle may also be towed away and storage fees may also apply. When someone is involved in an accident in California, whether insured or not, he or she must stop and call the police immediately. But what happens when the uninsured is asked to provide a valid auto insurance? The driver’s license can be suspended for up to four years, even if the accident was not the uninsured driver’s fault. 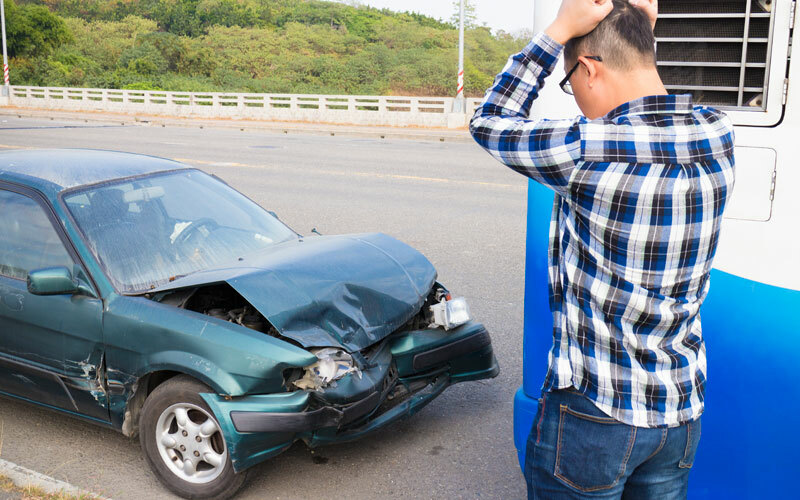 While California requires uninsured motorist coverage for all drivers, this doesn’t mean the uninsured will not be responsible for the damages caused to both private and public property. If the uninsured has assets, the insurance company covering the costs will end up suing the uninsured to recover everything paid. If you or a loved one has been involved in a collision with an uninsured driver, you can file a lawsuit against the reckless driver. California is a fault state, which means the insurance won’t cover unless the person actually caused the accident. Although California doesn’t require uninsured or underinsured motorist insurance, it’s good to learn about how these options can protect you as a driver. It’s important you contact a Los Angeles car accident attorney familiar with California laws and with experience in these types of cases. An attorney can protect you from drivers who are not ensured properly and ensure you are rightfully compensated. California personal injury cases can be complicated without adequate legal representation. Even when the uninsured driver doesn’t want to be responsible for the accident, he or she may have to cover all damages caused in the collision.